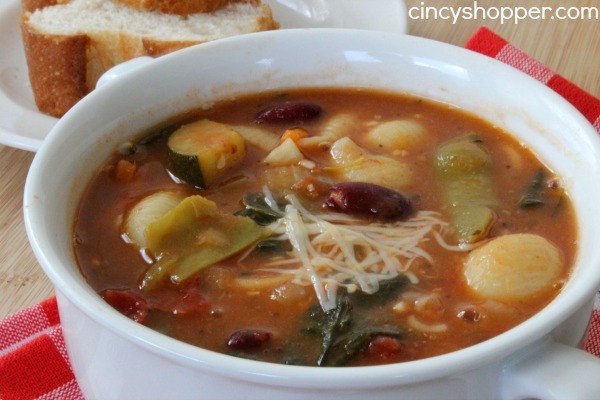 Since it is quite chilly today this Copycat Olive Garden Minestrone Soup Recipe will be perfect for us to enjoy with our CopyCat Olive Garden Salad and Dressing for dinner tonight. I made up a big pot yesterday and it was so tasty, I think leftovers are in order. I love grabbing soup and salad when we eat out. One of my favorite soup and salad spots is Olive Garden. They have the most delish soups and I am addicted to their salads too! Eating out at olive Garden is not very frequent for us since we do not have one here on our side of town. Occasionally for a birthday, anniversary, etc we will head to Olive Garden for lunch or dinner. 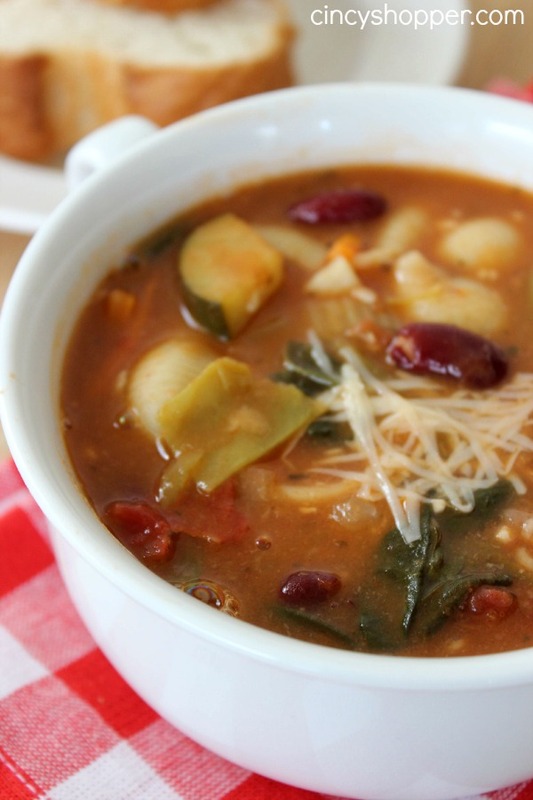 This Copycat Olive Garden Minestrone Soup Recipe is spot on PERFECT! It was torture smelling it all afternoon while it was cooking. The flavors smell so wonderful. I received the typical “what smells so Good” from the kiddos when they arrived home from school. 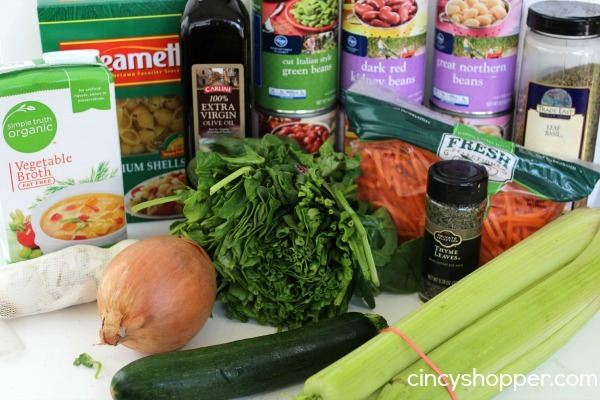 I love that this Copycat Olive Garden Minestrone Soup Recipe is loaded up with some of my favorite veggies. 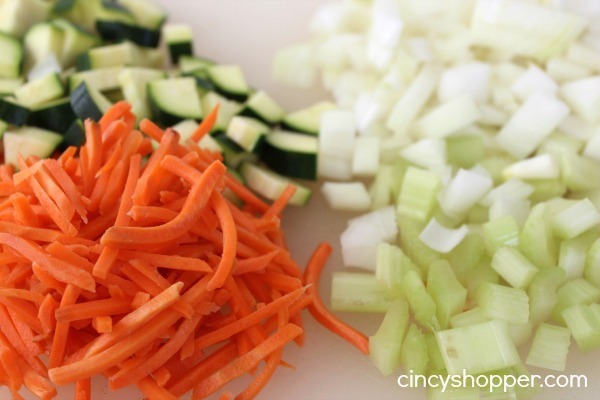 Zucchini, Spinach and Carrots, YUM! 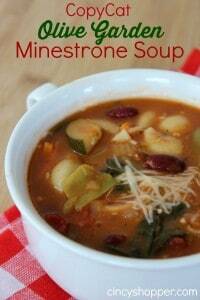 This Copycat Olive Garden Minestrone Soup is quite simple to make and really does not require much work. 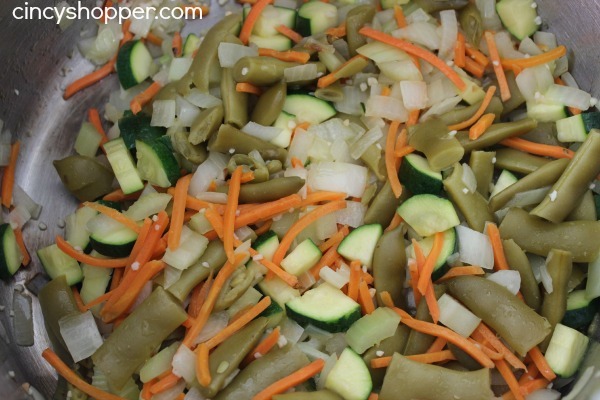 I will tell you to be extra careful when cutting your veggies. My hubby was cutting up the veggies for this soup and ended up at the ER and is now in a cast. He will be much more careful next time hes cutting zucchini, I am sure of that. If you are anything like me, you will be dipping into this pot of soup before it has had a chance to cook. Your house will be smelling so tasty that you will NEED to dip in, ha ha! 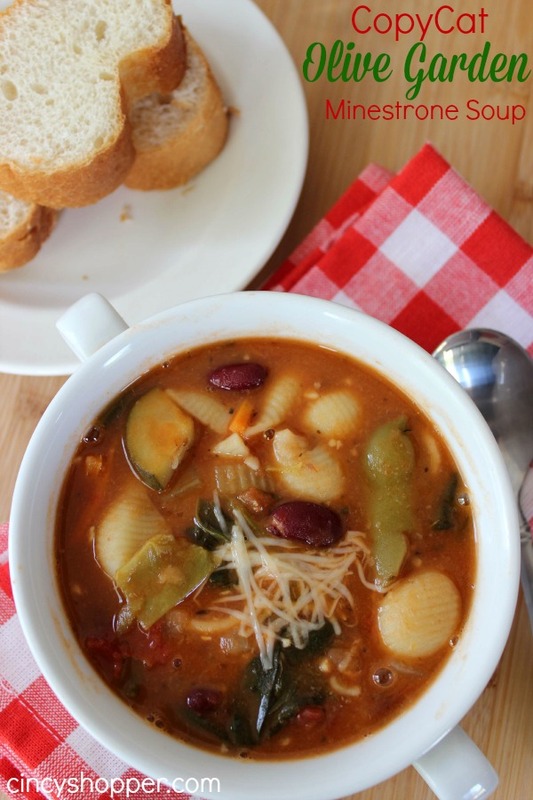 If you are looking to enjoy Olive Garden at Home be sure to make this Copycat Olive Garden Minestrone Soup and a Copycat Olive Garden Salad and Dressing at home. You will be saving yourself some $$’s. Plus this is a great light soup for summer. Yum! I need to make this. Do you recommend using the red wine? Would it make a huge difference if I skip it? Yes it definitely makes a difference. The wine gives it the depth. The true Olive Garden soup contains Chianti. when I make this I don’t cook the spinach. Instead, I put a small handful of raw spinach in the bottom of each bowl and ladle the hot soup on top. Then I let the soup sit in the bowl for a few minutes to let the spinach wilt – it doesn’t take long! The spinach keeps it’s beautiful bright green color this way. 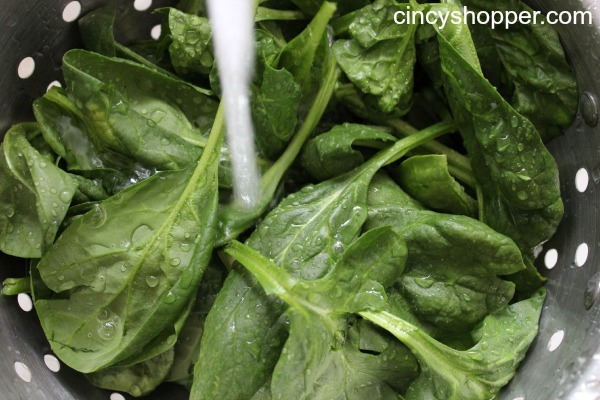 I’ve even been known to use frozen chopped spinach – thawed & squeezed dry. Made without wine, added salt and it was super yummy! I made this last night without the red wine and it was delicious. I also used beef broth because I didn’t have vegetable broth, could taste the difference from Olive Gardens Minnestrone, but still totally yummy. Two friends stopped by and had a bowl and really enjoyed it. Oh, also noticed a typo on the size can of the kidney beans and great northern beans, I just used the 15 ounce can. Cooking the zucchini that long, won’t it make it soggy and over cooked? I usually put it in a few minutes after the pasta.